This site is dedicated to my grandmother, who ran away from her Norwegian home in 1915 and arrived in England with nothing but a trunk full of books. If you're the kind of person who cries over books, make sure you've got a large hanky ready and waiting when you read Alison Pick's Far To Go, because it's beautifully written, totally gripping – and very, very sad. Set in Czechoslovakia in the final few months before the outbreak of the Second World War, it describes how the comfortable life of a wealthy Jewish couple begins to fall apart under the growing threat of Nazism, and how they secure their young son's safety by bribing a place for him on one of the trains which took children to foster families in Britain. The story of the Kindertransport is now forgotten by many, but it followed in the wake of Chamberlain's triumphant 'Peace for our time' speech, made after Britain agreed that Hitler could take over the part of Czechoslovakia known as Sudetenland. It's against this background that Pick's novel is played out, and consequently we are aware, as she herself tells us, that this cannot be a happy story, and there can be no happy ending, for we know the outcome, and history cannot be changed, however terrible it may be. 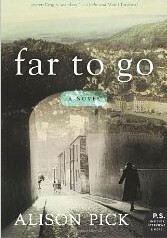 'Far To Go' is inspired, in part, by the experiences of the author's grandparents, but is not biographical. The tale unfurls through letters, lists, official notes and straight narrative, introducing us to factory owner Pavel Bauer, his wife Anneliese, their son Pepik, who is six years old, and his non-Jewish nanny, Marta, and it is through her eyes that we see much of the action. Bit by bit public feeling against the Jews is cranked up into a frenzied hysteria, some of it so seemingly silly that you wonder, just as Marta does, how people were ever persuaded to believe such nonsense. But believe it they did, and Marta watches in horror as a gang of young Nazi thugs kill an old man, and is distraught when Pepik is forced to sit on his own in school, and can no longer play with other children. Gradually new rules prevent the Jews leading anything like a normal life, and when Pavel is no longer allowed inside his own factory, the Bauers flee to Prague, but there will be no escape, despite their forlorn hope that this terror is only temporary, and that something will happen to halt Hitler. The Bauers, urbane, sophisticated, educated and cultured are secular Jews, who do not follow their faith but, strangely perhaps, persecution gives Pavel a clearer sense of his cultural and religious heritage, and he is determined that his son will know about Judaism. His wife, however, sees things differently. She wants to survive, and even has little Pepik baptised by a Christian priest, in the hopes that it may protect him from what is to come. 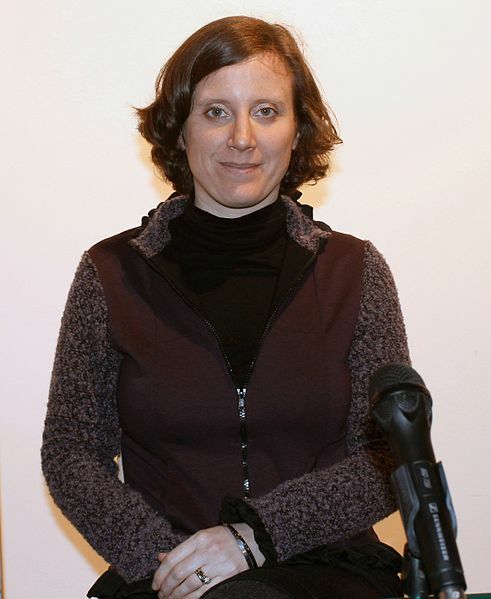 Marta herself grows in understanding as the novel progresses, ending her affair with Nazi Ernst (who works in Pavel's factory, and has been a long-standing friend with his boss) to throw in her lot with the Bauers, who have given her the only happy home she has known. Set against the events of the 1930s is the story told by a Canadian academic, who works with the children – now grown to adulthood – who escaped on the Kindertransport, recording their lives, and how they were affected by the past, by separation from their families, and by survival when so many others died. The time shift, coupled with the variation of style between narrative and letters, does mean the novel jumps around a little, but I thought it worked well in this particular context, as the link between past and present is revealed. And there are themes which which link past and present, with the motif of a train running through the novel taking us on a journey of discovery. There is the toy train which the child Pepik loves so much, and the train the family cannot board because their attempted escape has been betrayed. Then there is the train that takes Pepik to his new life, swallowing him and his old life in a disturbingly sinister way. The train was long and black, and entering it was like being swallowed by a snake. The snake had dislocated its jaw to take Pepik in, and now he was being worked down deep into its body, deep to the tip of its tail. Pepik made a little slithering motion; he put his hands on his stomach and imagined the way the snake felt, all the little bodies tumbling around inside it. There were so many children. His eyelashes were wet but he blinked and swallowed, swallowing himself, letting himself be swallowed. Then there's the way the Canadian academic (you'll have to read the book to find out more) describes memory. The train of memory sleeps on its tracks. At night, in the station, the shadows gather round it, reaching out to touch its cool black sides. The train stretches back, far out of eyesight. Where it comes from is anyone's guess. Reading this through I see that as usual, there are all sorts of things I haven't mentioned, like the emotions felt by the characters: love, fear, confusion, hope and the betrayal of trust between people on a national as well as a personal level. The passing of the years does nothing to lessen the impact of the horrendous treatment meted out to the Jews by the Nazis, and this novel personalises one aspect of what happened, taking an imaginary family as the central point, and ascribing to them things that really did happen. I read this as part of the Canadian Book Challenge (Pick is a Canadian author) and I really enjoyed it, even though it was so heartbreakingly sad. Pick was a new author for me, and I was interested to read the copious notes explaining how the story came about, and giving details about her own family, her discovery of her Czech-Jewish background, and her conversion to Judaism. However, I'm not sure whether quite so much information was really necessary. You're right that this is a very sad book, but it was so good. It was on my "best of" list for last year. Anna, I couldn't put it down. It will definitely be on my 'Best Books' list. There's More to AA Milne than Pooh and Piglet!